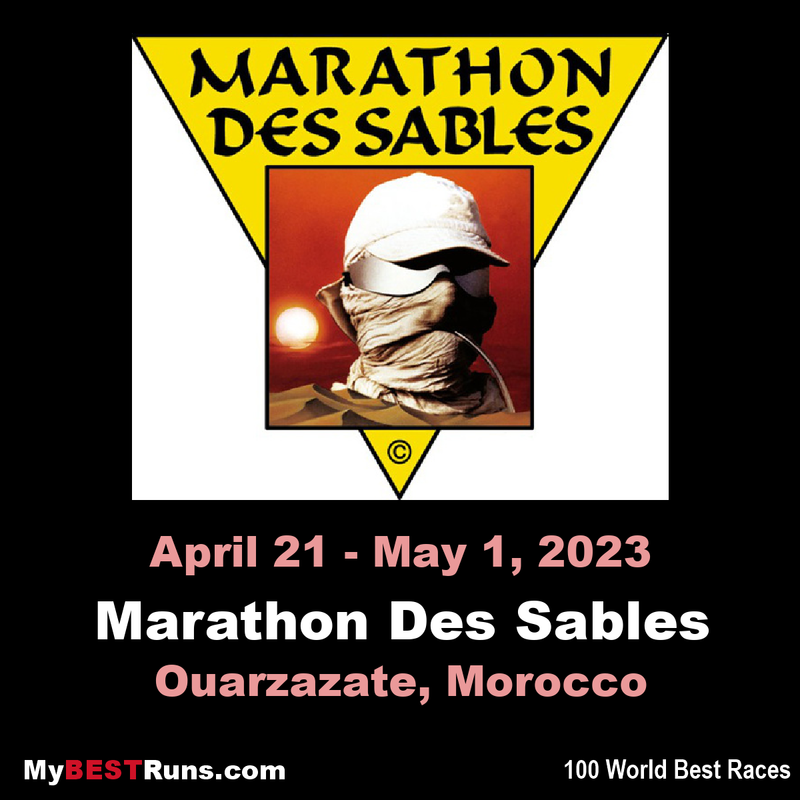 Known simply as the MdS, the race is a gruelling multi-stage adventure through a formidable landscape in one of the world’s most inhospitable climates - the Sahara desert. The rules require you to be self-sufficient, to carry with you on your back everything except water that you need to survive. You are given a place in a tent to sleep at night, but any other equipment and food must be carried. Started in 1986 by Patrick Bauer, the race is now in its 28thconsecutive year and continues to grow in popularity every edition. Places are much sought after, but those who do make it to the start line are richly rewarded. Under the scorching Moroccan sun, life-long friendships are fostered through a shared experience of unforgettable days spent running across saltpans, up desert-mountains, through ruined towns and through the occasional sand storm. with nothing but rolling sand dunes for miles around. When you plough your feet through the sand, a fine dust kicks up. You can’t feel the sweat dripping down your face because it’s evaporating in the baking heat. Your lungs feel parched. Today’s temperature is over 100 degrees Fahrenheit (50 degrees centigrade). 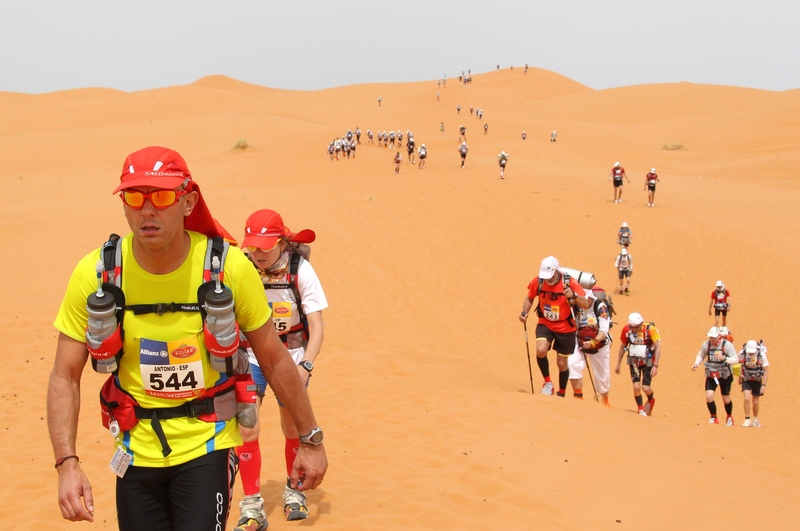 No one can deny that finishing the MdS is an incredible accomplishment. But more importantly, you will walk away with a new slant on life - that you can achieve anything you set your mind to do. 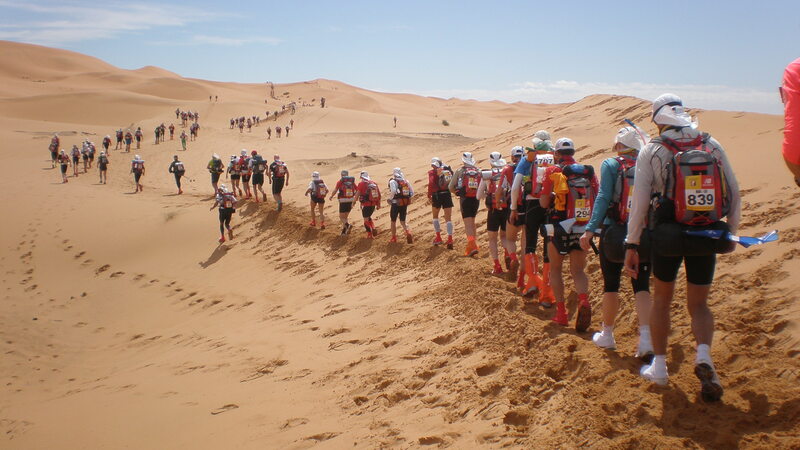 The MdS is a multi-day ‘ultra-marathon’ or ‘ultra’ run in six days over a course of between 150 and 156 (254km) miles. Which by the way is the equivalent of Running from London to Dover deciding not to go to France after all and running back again in 120 degree heat. with a backpack on and voices in your head talking about cold beer! The actual routes and formats change every year. The Race Director and his team spend a month meticulously planning routes that are held secret until the day before the event starts. There is a rest day after the longest stage, but it may well take you into that day before you get to the finish. Competitors stay overnight in a bivouac village, comprised of tents that sleep about 8 competitors per tent. Once you get your ‘bivvy’ your bivvy team become your family, your support team, your nursing team and invariably they become long-term friends. The most memorable sound of an evening is the rumble of weary laughter that echoes around the village.